Amazing home at an even better value in popular Normandy Forest! Spacious open floor plan with tons of fabulous updates including 5 inch plank wood floors throughout main living area and master bedroom, granite counters and stainless appliances in the kitchen. Study, formal dining, and large master bedroom with en suite bathroom, on the first floor. Three spacious secondary bedrooms and a large game room upstairs. Nice sized backyard with shed, sprinkler system, and tons of privacy, backing to a greenbelt. Make your appointment to see this home! It won't last long! Directions:I45 to FM2920 West, Left on Meadowhill Dr, Left on Arronmanchee Lane, Left on Deauville Dr.
SchoolsClick map icons below to view information for schools near 21006 Deauville Dr Spring, TX 77388. Home for sale at 21006 Deauville Dr Spring, TX 77388. Description: The home at 21006 Deauville Dr Spring, TX 77388 with the MLS Number 3963263 is currently listed at $244,900 and has been on the Spring market for 73 days. 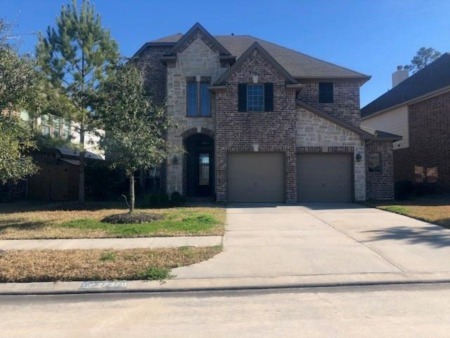 You are viewing the MLS property details of the home for sale at 21006 Deauville Dr Spring, TX 77388, which is located in the Normandy Forest Sec 01 subdivision, includes 4 bedrooms and 4 bathrooms, and has approximately 3102 sq.ft. of living area.